The official homepage for Melbourne based dark fiction author Mark Smith-Briggs. I was surfing the Aurealis Awards page today and noticed that one of my short stories the Angler has been nominated in the horror short story category. Sure, there's about sixty other nominations but still it gives you a certain buzz to see your at least in the running. I don't think the story is quite up to the caliber of some of the other nominated tales so don't harbour any fantasies about actually winning the award, but its nice to know that someone out there recognised it as a suitable peice to enter into the draw. I've always had a personal rule that I will NEVER nominate any of my own works for awards so for me to be in the running someone else has to recognise my work and like it enough to enter. I know this logic will probably leave me out of the running in a lot of things but writing horror for me is never about the trophies - although I'd never pass one up if it came my way. My story got nominated as well. I was thinking that perhaps all stories that hadn't been previously published were nominated ... how else to explain it? ...although - beyond my vote - you can fight between yourselves. 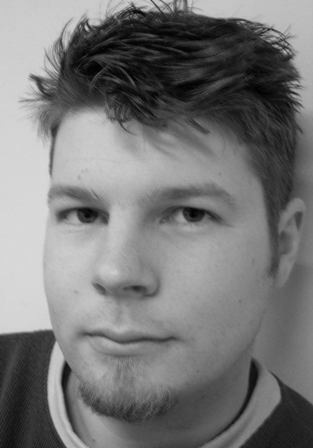 Mark Smith-Briggs is a Melbourne based writer of horror and dark speculative fiction. His short fiction has appeared in publications such as the Horror Library, Demon Minds, Another Realm, Shadow Box, FlashSpec: Volume One and the Horror Day Anthology. He is an editor for the Australian horror site Horrorscope.